Explain this joke to me. The devil got sort of screwed by Verizon on their data plan. You'd think with all those lawyers they could have negotiated something better. 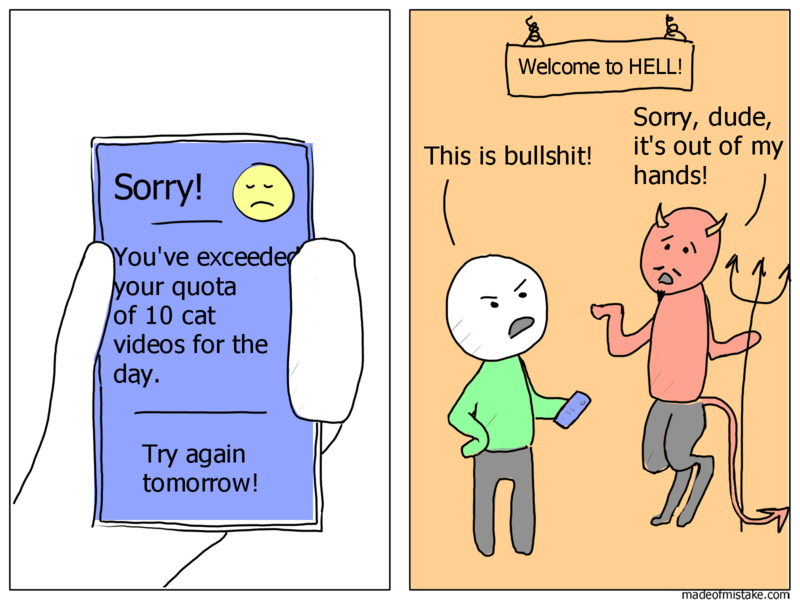 Anyway, that's why they have to ration the cat videos.